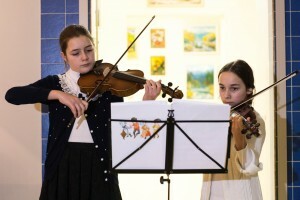 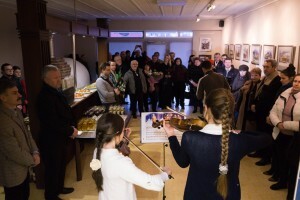 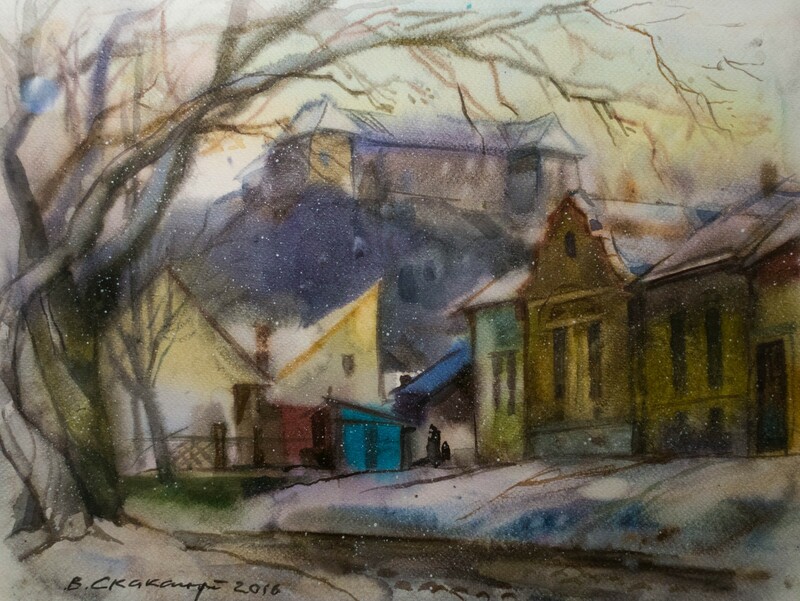 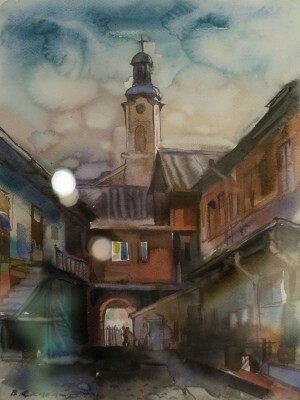 Personal exhibition of the People's Artist of Ukraine Vasyl Skakandii called «Picturesque Uzhhorod in watercolours» was opened at the regional centre of Transcarpathia at art show «Art-Pro». 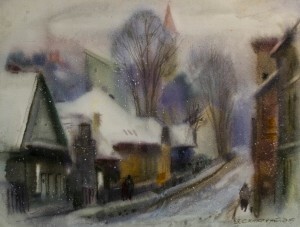 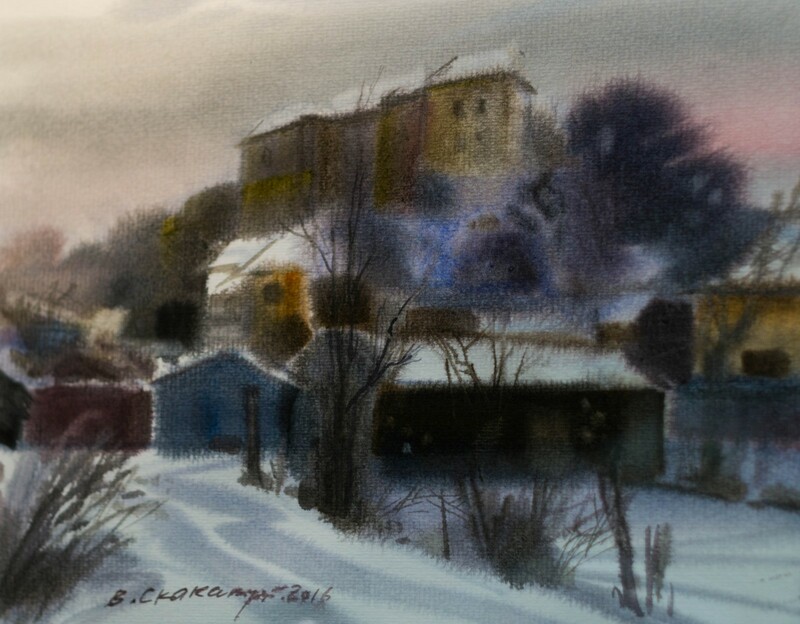 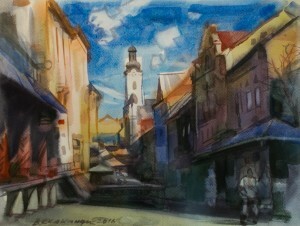 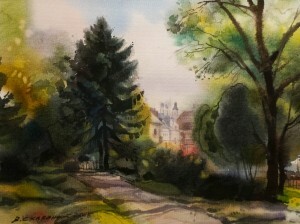 The exposition of the Transcarpathian outstanding graphic artist and painter, laureate of the Regional Prize named after Y. Bokshai and A. Erdeli is represented by a series of two dozen watercolours, painted mostly within the past two years. 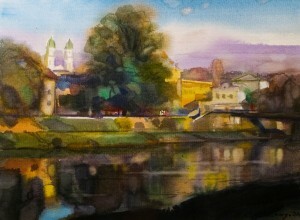 The picturesque parts of the city over the Uzh river are depicted on the small-sized sheets in colourful and unique author's manner. 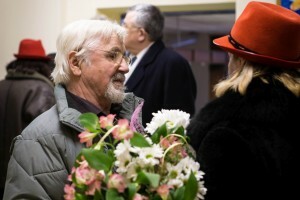 Perhaps that is why the works were not signed. 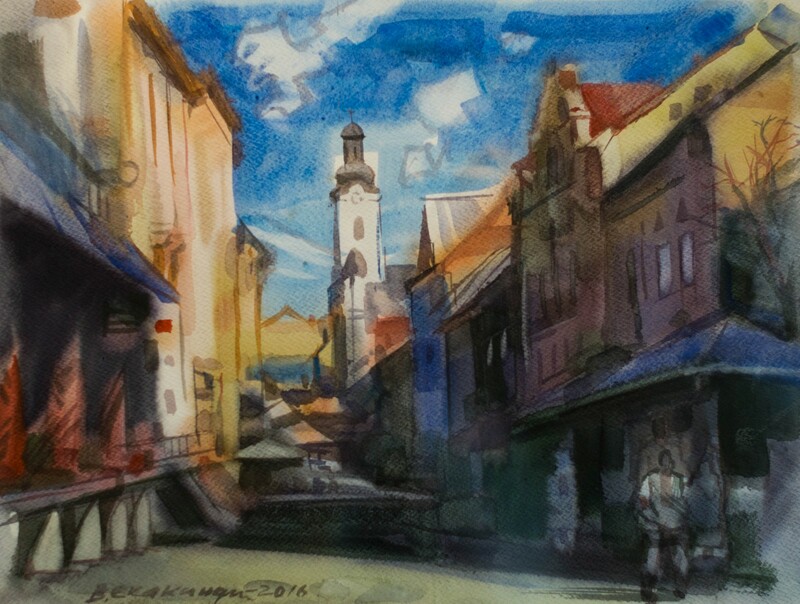 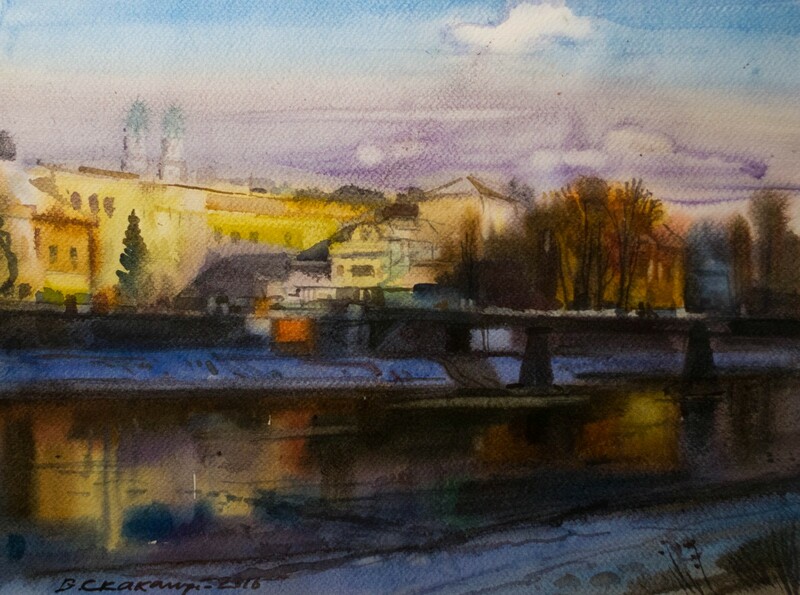 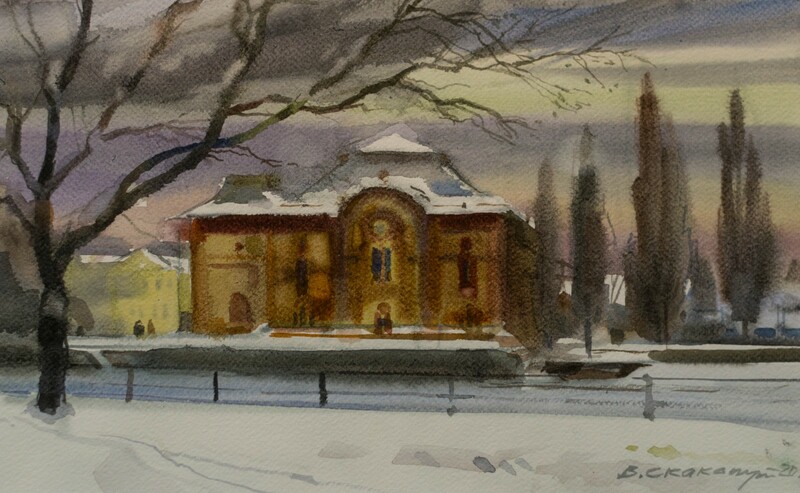 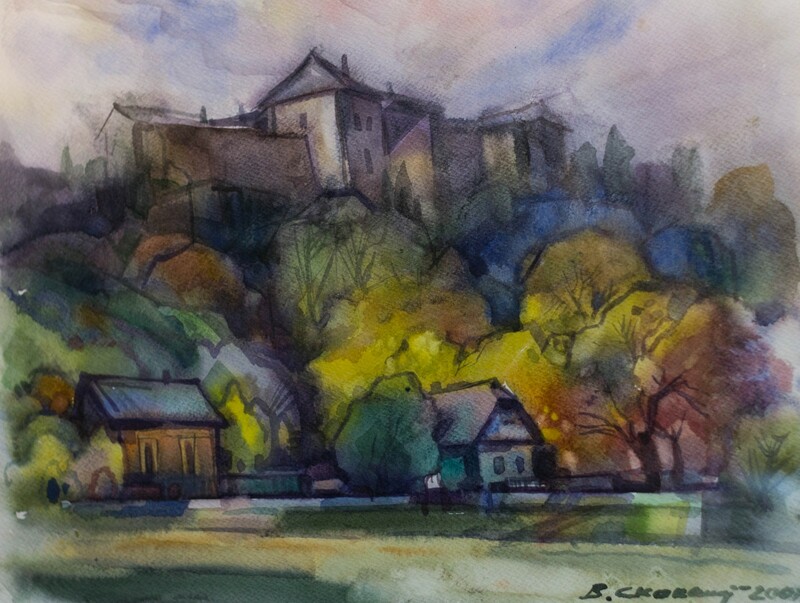 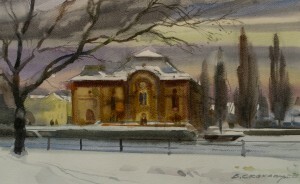 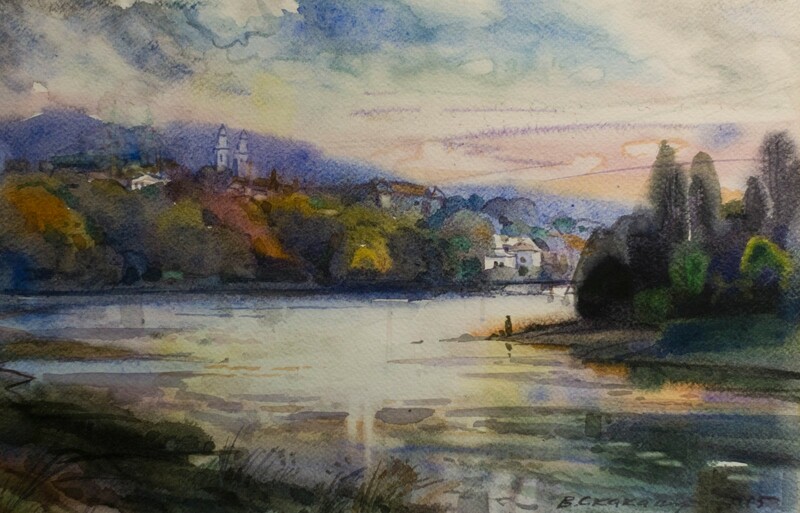 Surely everyone who lives in Uzhhorod or frequently visit the city can easily recognize the places vividly captured by the artist in his beautiful watercolours.